Long recognized as two of the best garage bands from Michigan, The Unrelated Segments whose “The Story Of My Life” has appeared on Rhino’s Nuggets box set and The Tidal Waves who scored a number one hit with “Farmer John” are the main focus of this compilation of Detroit garage bands. 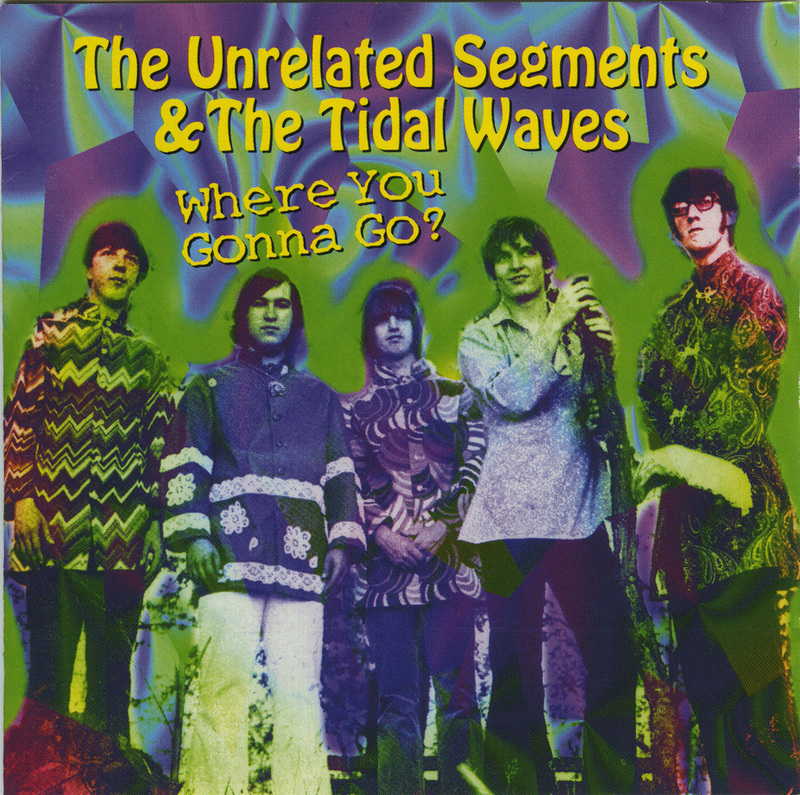 All of The Unrelated Segments and The Tidal Waves material are included on this release, in the finest sound yet. All tracks from the original master tapes. 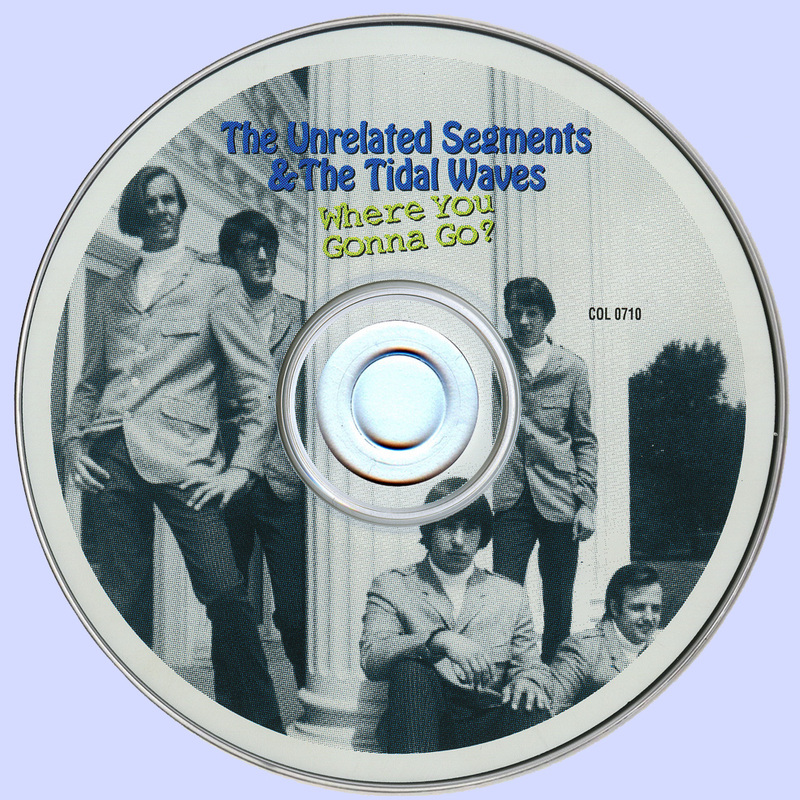 The Tidal Waves consisted of two High School students (Mark Karpinski and Tom Wearing) and three Junior High School students (Bob Slap, Bill Long, and Jon Wearing). Mark and Tom were seniors at Roseville High. Bill, Bob, and Jon were ninth graders and went to Roseville's Burton Jr. High. Jon was the one who asked Bill to join the group and play guitar. The Tidal Waves’ first release “Farmer John” was a smash. Bill Gavin’s Weekly Record Report for May 20, 1966 picked “Farmer John” as a “probable hit”. It entered the charts at Detroit radio station, WXYZ on May 9, at number 35 and the next week was already at number 14, two weeks later on May 30, it was number 5! That same week over at rival WKNR the song peaked at no. 6 (it had entered the WKNR Charts on May 2 at no.30). It reached the coveted No.1 position on WTRX the week of June 17. Nationally it got as high as #79 on the Cash Box Top 100 survey, the week of June 25, 1966. The Tidal Waves popularity grew to such a degree that they opened for national touring bands such as The Animals and The Herman's Hermits at Olympia Stadium and the Dave Clark Five at the Ford Auditorium. The Tidal Waves also played some shows with The Unrelated Segments. As for TV appearances, The Tidal Waves played all of their recorded output at various times on Robin Seymour’s “Swingin’ Time” TV show. In fact if not for The Tidal Waves performance of “Action” on “Swingin’ Time“, the single probably would have gone completely unnoticed in Detroit. The next Tidal Waves’ single would be under a different name, The Gruve. When the lead singer for The Unrelated Segments, Ron Stults, was growing up in the fifties he was impressed by Elvis and Ricky Nelson’s hits. Ron developed his vocal style while singing along with their songs on the radio. In 1963, while barely in high school, he formed a group called The High Tones. The band recorded three songs that were cut to acetates, but are now missing in action. The group became popular around Michigan and opened for national bands such as The Four Seasons. In late 1963, The High Tones changed their instrumental style after listening to a Beatles’ album issued in Canada. This was a few months before The Beatles were known in America. The High Tones lasted till the early 1965, when one of the members was drafted into the Navy. Ron then joined The Village Beaus(who also played on the same bill as The Lykes Of Us). Rory Mack, a classmate of Ron, was also in the group. The band played lots of Beatles, Stones, and Them songs. Internal conflicts led to the break up of the group by September of 1966 and nothing was ever recorded. About two and a half months later Rory got hold of Ron because he was forming a new group with John Torock and they needed a lead singer. Ron joined up with the as yet unnamed group. John Torock was the oldest member of the group (all the other members were still in high school) and was going to business college, taking a course in micro-economics. There was some theory about unrelated segments in his class and thus was born the name of the new group. John's father Louis was very helpful to the band and allowed them to use the Torock basement and garage for rehearsals. Louis would also become the group's official manager. On January 1, 1969, U.S. recorded a song written by Ron and Rory titled "Hey Love". It was also produced by the band and recorded at GM Recording Studios in East Detroit. A couple of months after this recording Rory decided he was leaving the music business for good and was replaced by Craig Webb on lead guitar. The next song by U.S. was written by Ron and Craig entitled "There's Gonna Be A Change". It was recorded in March of 1969. The personnel changes in the band though, had a permanent fracturing effect and before 1969 ended US dissolved. Fragments of the group went on to form “Lost Nation” and record a Lp for Motown.